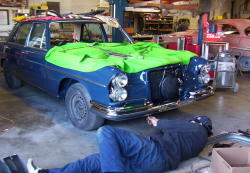 Refitting the restored bumper bars. 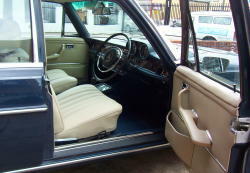 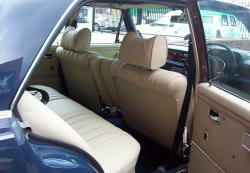 The old interior was full retrimmed in leather, power window mechanisims were source and fitted in place of the manual units. 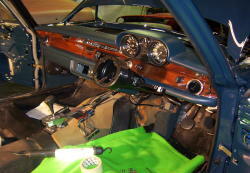 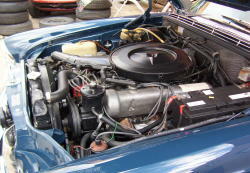 The engine bay was detailed and the engine serviced. 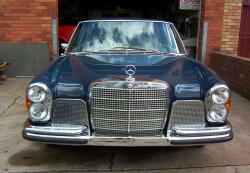 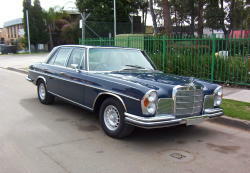 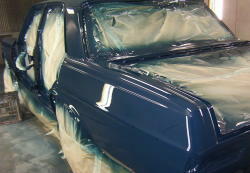 Mercededs mag wheels were sourced,restored and fitted with new tyres..